Brokerage Sanford C. Bernstein Ltd is forecasting that overall casino gross gaming revenue (GGR) in Macau will grow by 3 percent year-on-year in 2019, but with the mass and VIP segments showing very different performances. While VIP revenue is expected to shrink by 2 percent this year, GGR in the mass-market segment is likely to increase by 7 percent, said the brokerage in a Friday note. “The VIP segment is likely to continue to face headwinds in the earlier part of 2019, until more promising China macro data and resolution of U.S.-China trade war materialise,” wrote analysts Vitaly Umansky, Eunice Lee and Kelsey Zhu. “Mass is projected to continue to show growth, albeit at a slower rate, with high occupancy rate and visitation trends acting as headwinds,” stated the Sanford Bernstein team. The analysts noted that factors that may create headwinds for the VIP market might as well “impact the higher end of mass market”, also know as premium mass. According to the brokerage, the VIP segment together with the higher end of Macau’s mass market “represent approximately over two-thirds of GGR”. Macau’s accumulated casino GGR for full-year 2018 grew by 14.0 percent year-on-year, to nearly MOP302.85 billion (US$37.5 billion), according to official data. While VIP revenue grew by 10.2 percent year-on-year in 2018, mass revenue rose by 18.8 percent, accounting for approximately 45.2 percent of overall GGR. With the business mix shifting to the mass-market segment, Sanford Bernstein said it expected casino operators to show margin improvement in 2019, forecasting industry wide earnings before interest, taxation, depreciation and amortisation (EBITDA) to grow by 7 percent. “Prolonged macro slowdown, recession risks, and operators’ inability to move business up a higher value chain pose downside risk to our sector and company theses,” said the analysts in Friday’s memo. “While non-gaming will never be a significant component of Macau industry revenues, non-gaming is becoming a more important driver of visitation and mass growth,” wrote Mr Umansky, Ms Lee and Mr Zhu. “The hotel, retail and entertainment offerings are critical for the sustainability of overnight mass visitation,” they added. 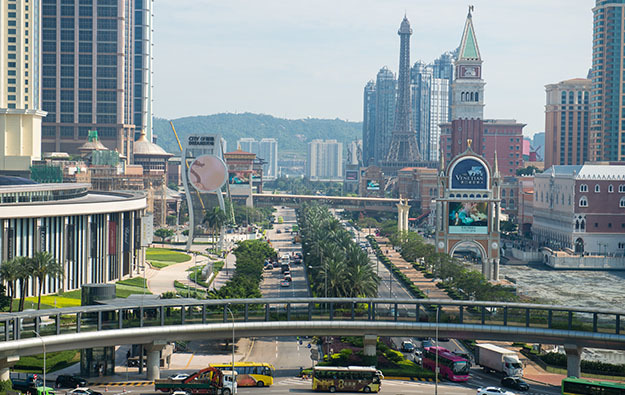 Subdued levels of daily GGR in Macau’s casinos in the opening days of 2019 have prompted investment analysts to forecast that January could post the first monthly revenue dip since 2016.